io9 Book Club Meeting Reminder: One Week To Finish "Windup Girl"
Don't forget to finish reading Paolo Bacigalupi's Windup Girl for our next io9 Book Club meeting, which begins February 23. Get more information about the book, and how to participate in the book club, here. 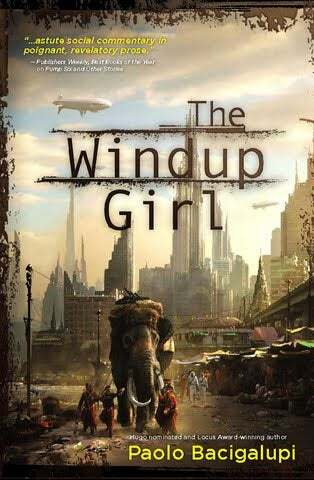 Februrary&apos;s io9 Book Club Pick: Paolo Bacigalupi&apos;s "Windup Girl"
Bacigalupi will be joining us for a discussion later that week, so be thinking about what you want to discuss in the book club meeting - and what you want to ask the author! io9 Book Club Meetings take place on the blog. I'll create a book club post on Feb. 23, and we'll have a conversation about the book in comments for the next several days. Then, in a separate post, we'll have a talk with the author.